The journey begins the moment the boys arrive at camp, located on the shores of Petit Lac Nominingue in the northern laurentians. 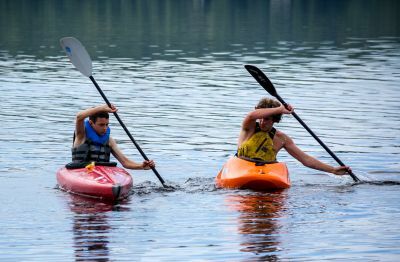 Camp Nominingue is a traditional, English summer camp for boys, offering orienteering, canoe tripping, archery and numerous other activities and programs. Split into sections based on age, the boys are given the opportunity to plot their own camp course for the summer, by selecting from a variety of program choices. While in camp, the boys get to choose specific instructional programs, which are complemented by a wide array of camp programs and events. Each afternoon and evening, the boys take part in a variety of programs usually by section. At least once a week, we run all camp games that span several activity periods and involve campers of all ages. At the end of both sessions, the campers take part in a two day all camp event, Primal Games in July and Voyageur Games in August. Twice daily free swim periods give the boys access to our fleet of waterfront equipment and land based activities, while afternoon rest periods allow time for quiet reading and games. Through it all, the emphasis on creating a safe and fun environment for the boys to develop new skills and independence is paramount. Campers also have the opportunity to choose to set out on one of our many wilderness canoe trips. Our extensive wilderness canoe tripping expertise stems from a program that has sent out over 4500 canoe trips since 1925. Boys aged 16 can enrol in our Leaders-in-Training (LIT) program to develop leadership skills. While in camp, the campers get to choose from a large number of instructions each morning. At the start of the week, each boy chooses which two instructions he will take for the week. The instructions are taught during two, one hour long periods each morning. The first summer a boy comes to camp he will receive his Camp Nominingue Feather Shield. During instruction, the boys work on feathers that go onto the shield. Each instruction has 4 feather levels: beginner, first, second and third. Each level represents a level of skill or achievement. The boys bring their Feather Shield back with each summer so that they can continue to add feathers to it. The only exception is for boys enrolled in the 8-day program, who will not choose their instruction activities. 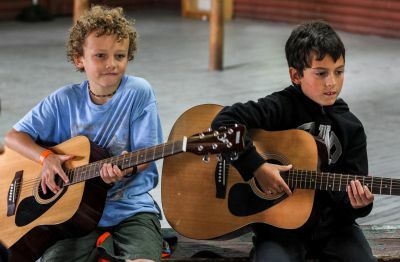 These campers will be introduced to a number of different activities, including campcraft, outdoor cooking, canoeing, orienteering and nature during their week at camp. Outside of the instruction program, boys enrolled in the 8-day program will have the opportunity to try some of these other activities, such as archery.